The leader of the Euro-sceptic group at the European Parliament (EP), Nigel Farage, says that Lithuania is making a mistake by joining the euro zone. "For me who has been an outright opponent of the euro believing that it would never work, I am quite astonished that your country is on the verge of joining that currency. The euro is a short-term temptation of your political class believing they'll be part of a bigger club and that this will lead to lower interest rates. I have no doubt you've been told that, as (you become) members of the euro, more investment will come into Lithuania. But I doubt you've been told that by joining the euro you are entering a full economic and monetary union with Greece, Italy, Portugal, Spain and Cyprus. (…) But what happens if they start running from the big debts at the bank? 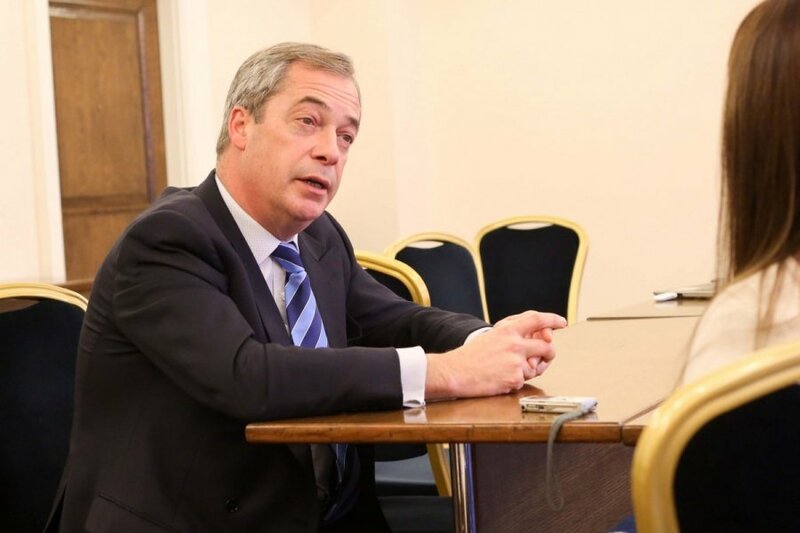 You finish up having to pay a higher portion of the bill," Farage who also heads the United Kingdom's Independence Party (UKIP) said at a congress of the Order and Justice party in Vilnius on Saturday. In his words, it is not fair that a democratic country did not hold a referendum on adoption of the euro. "What should matter in this decision as to whether Lithuania joins the euro or not is what you think. For anybody who believes in democracy, I think it is plain wrong for any country to surrender its currency and to join an economic monetary union with the Mediterranean without their having been a referendum in your country," said Farage. The British politician leads the EP's smallest Euro-sceptic group of merely 48 members, which also includes two Lithuanian MEPs, namely, Rolandas Paksas and Valentinas Mazuronis of the Order and Justice party. Farage's UKIP wants Great Britain to cease membership in the European Union and restrict emigration, gaining more and more popularity among British residents.